Celebrity stylist Toyin Lawani has reacted to a viral story that started few days ago about her fiance, Trigga Kess causing a scene at Peter Okoye’s wedding ceremony. 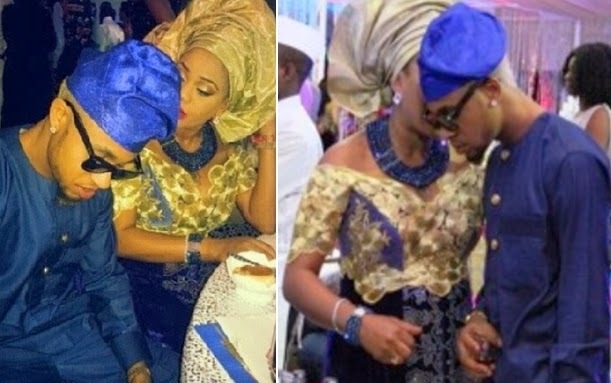 According to the false rumour, the heavily pregnant stylist was accused of pulling her boyfriend’s ear after he got really drunk at the wedding ceremony last Sunday. Toyin who denied the story all gave a big blow to bloggers who started the story. Is she saying Nigerian bloggers cook up stories to make ends meet? Most bloggers that I know do blogging for fun and not necessarily for profit. For the record, Toyin Lawani is 31 while her boyfriend is 21. The boy na mumu now if not how he ngo marry his mother age all in the name of money. He entered with one leg hoping to take and run, his two two legs hooked after eating “BALASOMU” . Love has no age, religion,tribes, country, colour and race.